45 (ST) ABC Records. K-418. Produced by Paul Radcliffe and Tommy Moeller. 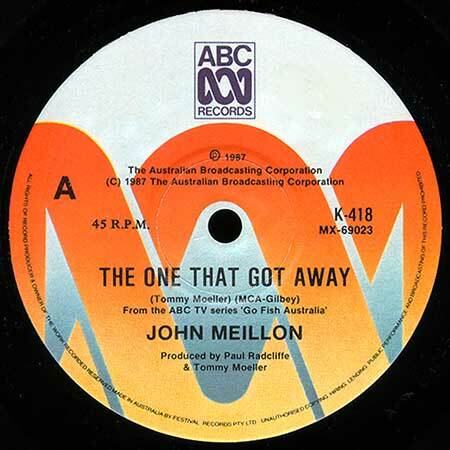 Side a: "The One That Got Away". (Tommy Moeller). (MCA-Gilbey). v: John Meillon. Side b: "Under Your Spell". (Tommy Moeller). (MCA-Gilbey). v: Tommy Moeller.